Two bedroom/one bath Stratton West condo on Stratton Mountain Road literally three minutes from Stratton Village and Base Lodge. This cozy condo has two bedrooms each with a full bed, all linens provided and plenty of closet space. The full bath has a shower/tub combo, plenty of towels, and washer/dryer. The living area features a sleeper sofa and dining table for up to 6 people. The kitchen includes a full size refrigerator, range and oven, microwave, dishwasher, coffee maker and crockpot. The kitchen is stocked with utensils, cookware, dishes, and basics for cooking such as spices. The condo has games, books and a stereo. We provide Wi-Fi for using your own devices. But please note that there is no TV in the condo. Plenty of storage for ski and snowboard equipment inside and outside of the condo including an outdoor storage locker. Please note that although the condo could accommodate up to 6 adults, we believe that most renters would find the space comfortable for up to 4 adults and two children. My son and I love skiing and snowboarding at Stratton in the winter and hiking and swimming in the summer. 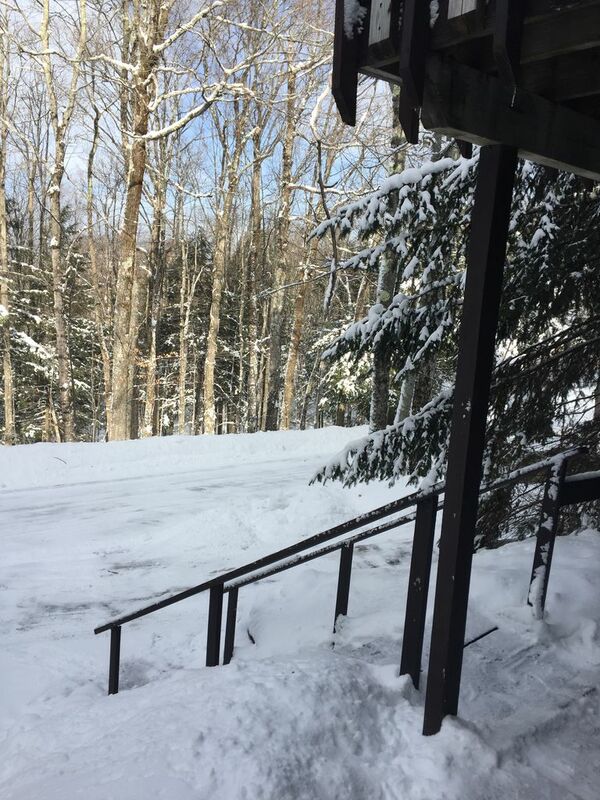 Our condo in Winhall just minutes from Stratton is the perfect home base to explore this beautiful area of Vermont any time of year. We hope you enjoy it as much as we do!